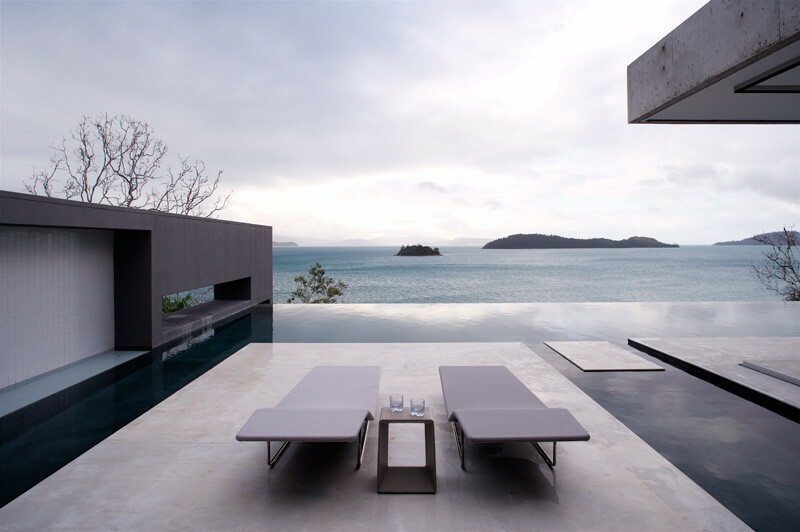 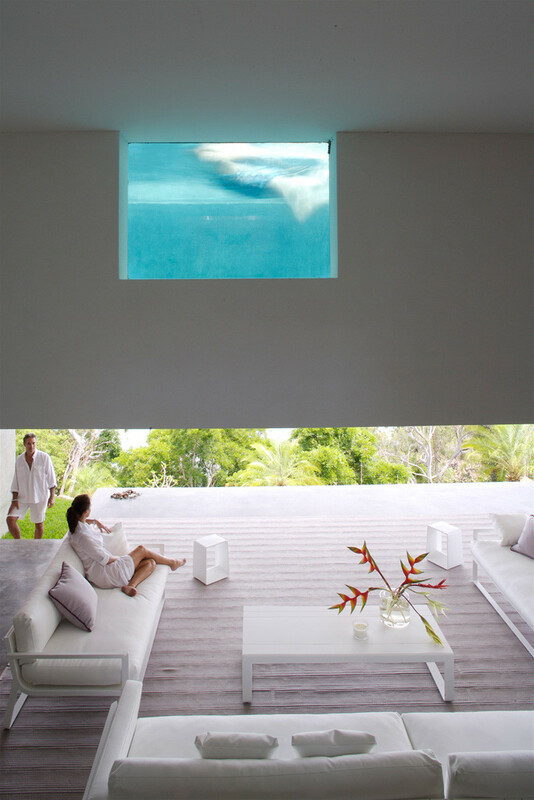 Renato D’Ettorre Architects have designed Azuris, a home located on Hamilton Island in Australia. 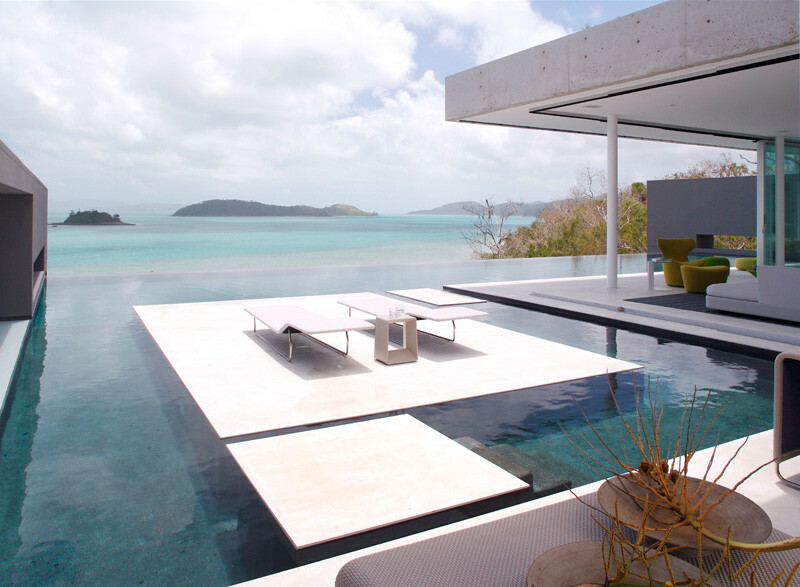 The home’s position on a steep site above the water’s edge, provides amazing views of the Whitsunday Islands and the surrounding Great Barrier Reef. 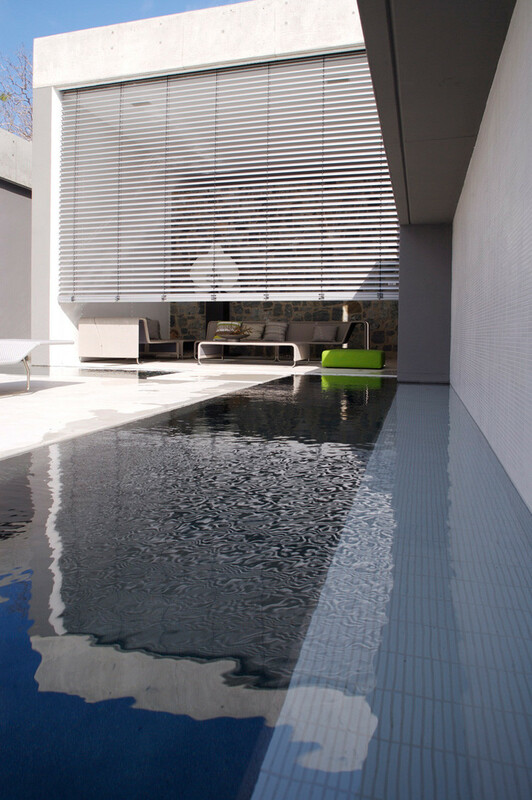 The home has plenty of outdoor spaces, such as this one, located underneath the swimming pool. 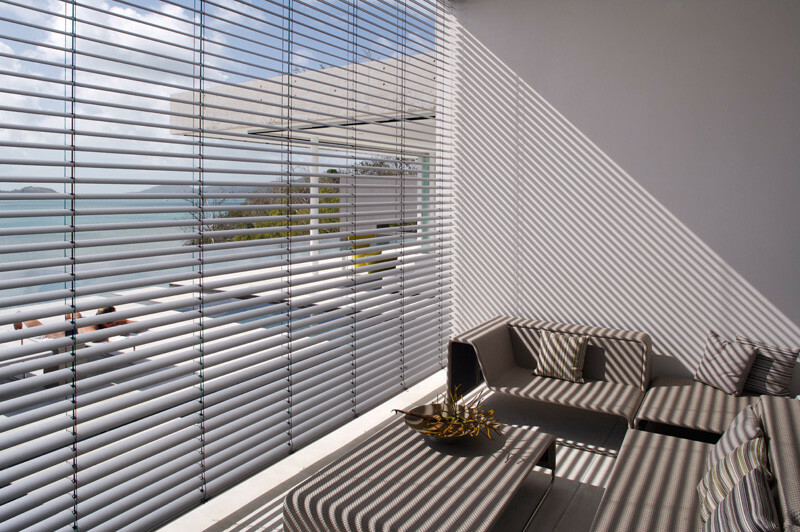 A roll-down wall of blinds provides shade to this space. 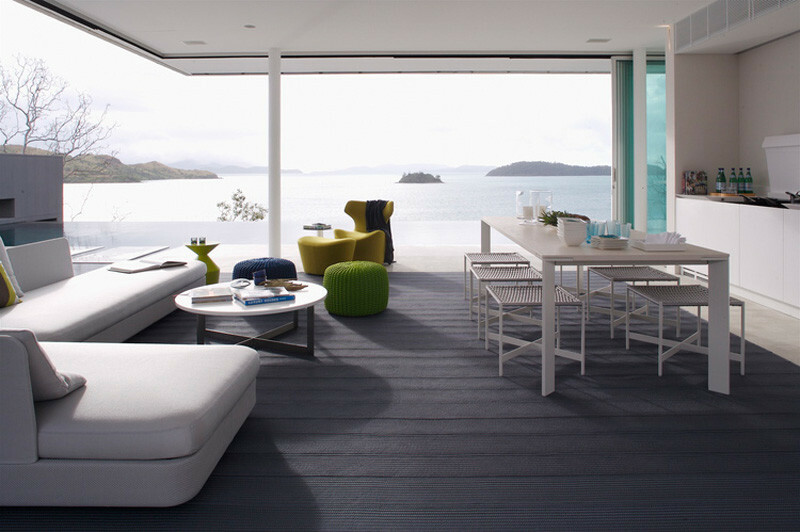 The ocean views visible from the dining table, include the surrounding islands. 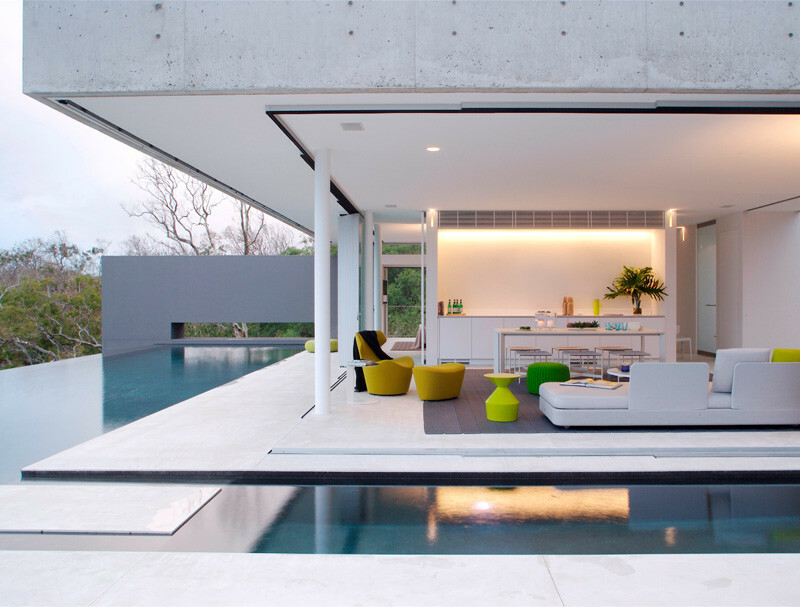 A long white kitchen is positioned beside the dining table. 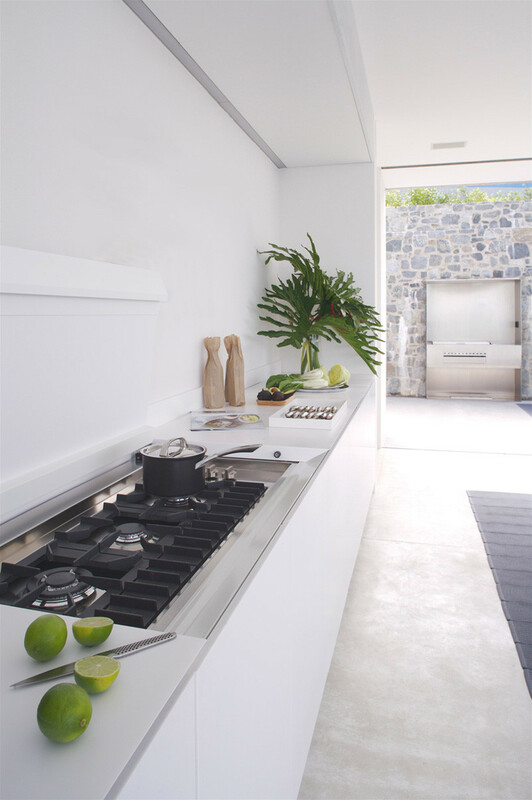 Off the kitchen is a small courtyard, and a steel barbecue has been integrated in the massive stone wall, perfect for outdoor cooking. 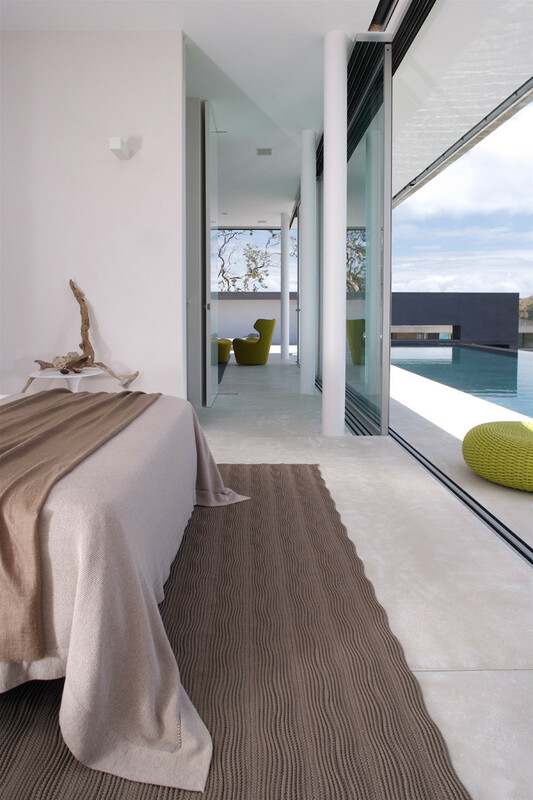 Down a small hallway from the living area, is the bedroom. 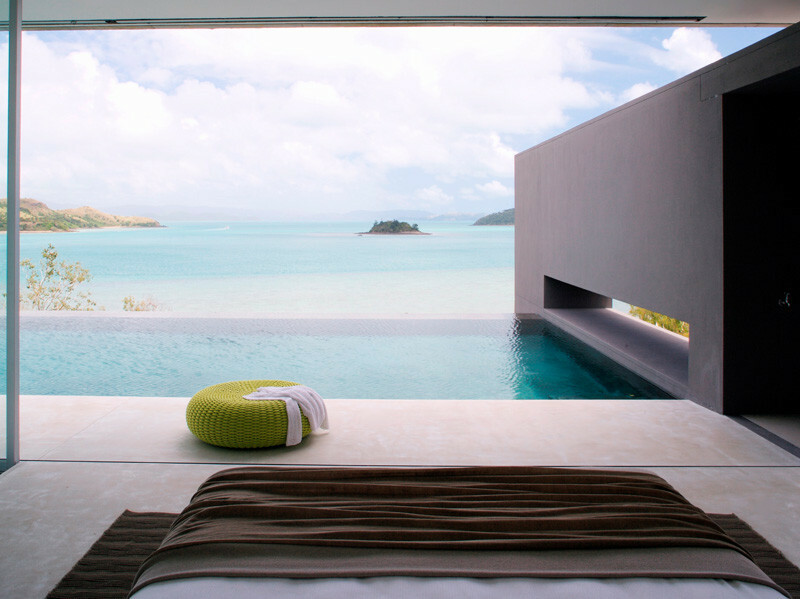 The bedroom has direct access to the pool, and the views. 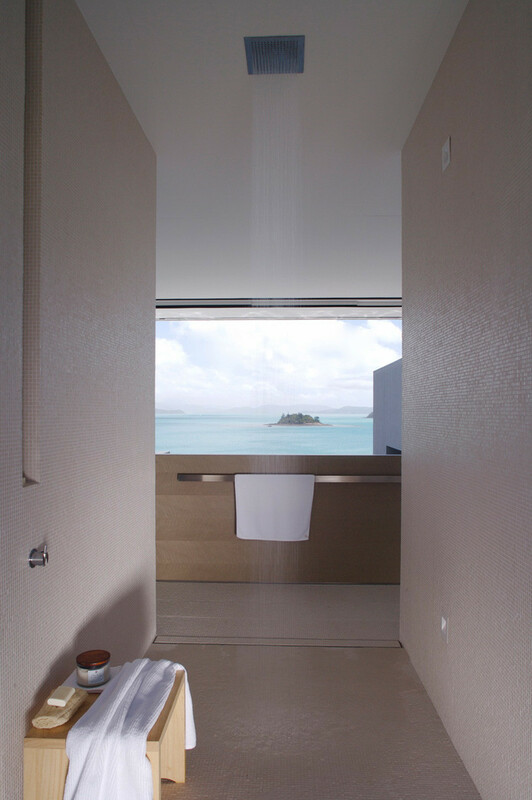 Not to be outdone by the bedroom, the bathroom also has views to enjoy while you shower under the rainfall shower head.